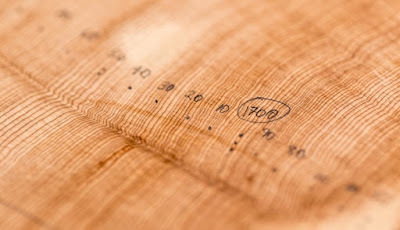 Dendrochronology, or the study of the past through tree rings may well be one of the most interesting uses of trees we have today. More often than not, looking into the past requires determining the age of a historical relic or event. Other forms of dating, such as radiocarbon dating, provide us with estimates of when an event may have occurred. Surprisingly, dendrochronology is the only form of dating that can pin-point an exact year. Based on the words “dendro” and “chronology,” dendrochronology quite literally means “tree-time.” As most of us likely learn in school, the rings on a tree tell us how old that tree is. Each year, the tree forms a new ring. This ring would be affected by the year’s climate conditions and much more. By going into further detail and assigning a specific year to each tree ring, the tree is able to tell us stories of our past. 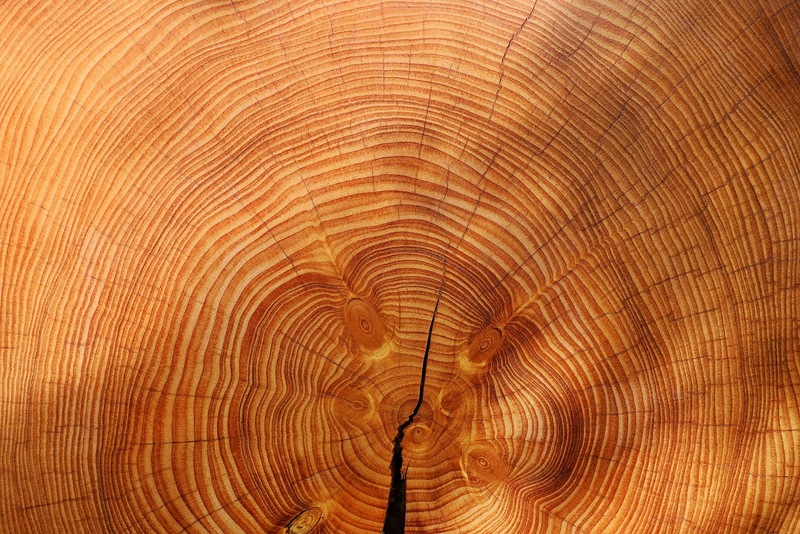 From archaeology, to climatology, tree rings may very well hold the key to unraveling certain details of history. One example would be a solar storm that occurred in 994 AD. Any trees that were alive during that time would have absorbed up to 20 times the normal level of carbon 14. By testing for spikes in radiocarbon levels, one could date not only the tree itself, but also any timber constructed from those trees, any buildings made from those timbers, and even any papyrus or artifacts woven from the material of that tree. By compiling the data of just a small number of trees, one may be able to effectively date events going back for thousands of years. So what interesting things have we discovered with Dendrochronology? Here are just a few. This is probably the first thing that comes to mind when it comes to tree-ring time. One such study used samples of trees from 66 locations across North America and Europe to reconstruct temperatures over the last 1,250 years. Based on this, scientists have concluded that the overall climate of today is indeed the warmest it has been in the last millennium – about 0.7 degrees warmer than during the Medieval warming period. Is this merely part of a cycle or is the climate change caused by external factors? I think we may have to look back more than 1,000 years to know that. During construction at the site where the World Trade Center towers once stood, workers discovered something interesting. 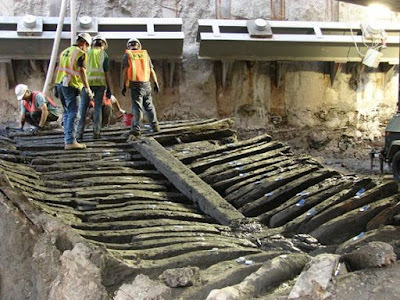 About 6 meters below ground level lay a long-forgotten wooden ship measuring nearly 10 meters in length. The vessel was excavated together with animal bones and ceramic fragments. Bones of a ship beneath the WTC Towers. Photo Credit: MAC Lab. After sending a few timbers to the Tree Ring Laboratory at Columbia University, experts concluded that the ship was made from trees which were cut down in 1773. Some of these trees were over 100 years old. As we’ve learned, tree rings can be used to determine the climate of a certain year. Now, scientists have found that we may also be able to track a storm. The study is based on the ponderosa pine which is particularly susceptible to moisture. The rings of the tree would be able to tell clearly if the year was a “wet year” or a “dry year.” By collecting centuries of data from tree samples around the area, researchers were able to piece together a map of storm movement across the Pacific since 1693. Something had been puzzling scientists for over 3 decades. A large chemical spike in Arctic and Antarctic ice cores showed evidence of a massive volcanic eruption that occurred in the mid-13th century. However, for 30 years, researchers had been unable to place the location of such an eruption. Some of the possible candidates had been located in Mexico, Ecuador and New Zealand. However, none of these matched all the criteria in terms of dating and geochemistry. By studying the ejected rock and ash, the cause was eventually traced to Samalas in the Rinjani Complex on the island of Lombok in Indonesia, to an eruption that occurred in 1257. Local texts corroborate this theory with the collapse of the Lombok Kingdom in the mid-13th century. The Samalas Crater. Photo Credit: Rinjani National Park. 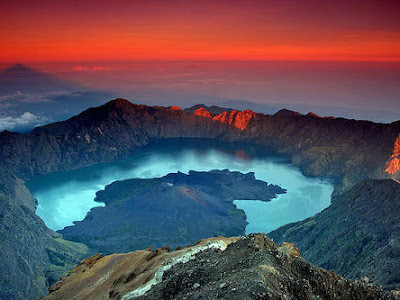 Having destroyed itself in the eruption, Mount Samalas is survived by its crater lake in the Rinjani mountain complex. Those are just a few of many interesting things that we have learned from 'tree-time.' And who knows what other secrets these hidden historical clocks may hold.